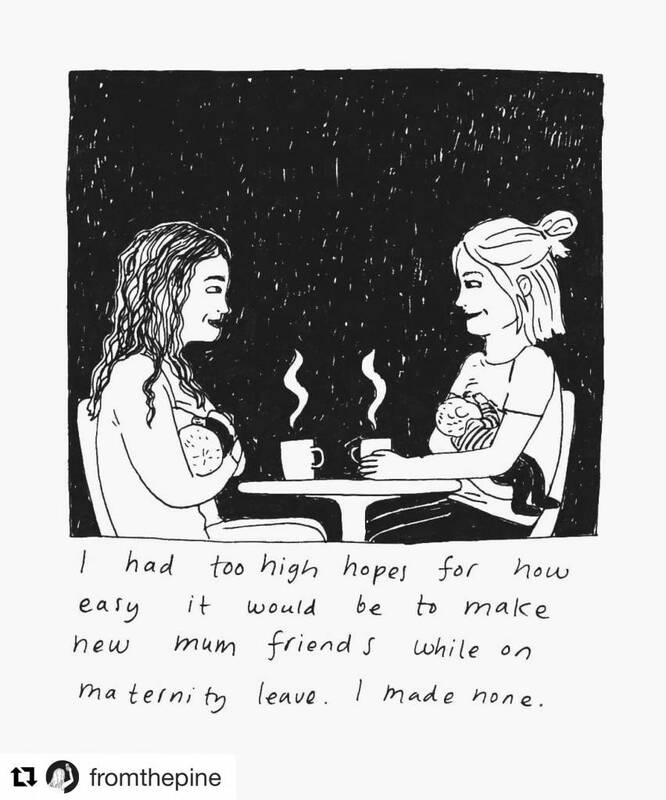 Your maternity leave year is a great opportunity to meet new friends. If the climate isn't right though, and even if you’re great with people, meeting other mothers can be as hard to navigate as the middle school lunchroom. When I had my first child almost 14 years ago, we were living in a glass box in the sky in Toronto. Being naturally chatty, I met a couple of mothers in the elevator who had babies at the same time as me. Although I tried to mesh with the one, I wasn’t really feeling it and I let it die after a few awkward exchanges. The other, Hiroko, was my bestie for a short and blissful while. We went on daily walks with the babies in carriers. We were both breastfeeding and cloth diapering. We exchanged recipes, talked about our families and childhoods, and she started teaching me some Japanese. I learned that the way to turn my daughter’s name into an endearment was to add “-chan” to the end of her name. For her baby, a boy, we added “-kun”. My parenting style ultimately helped me to find a circle of mothers that I’m still in touch with today (even if we don’t fika like we should do). I joined a defunct Attachment Parenting Meetup group online, to look for signs of life. Over the next week, another mother joined. Then another, and eventually, the group ballooned to hundreds of members. The key to making my inner circle of mom friends, however, was our informal play group. About 9 of us from the AP Meetup would get together weekly at Mothercare. We discussed everything. No topic was left untouched. We eventually even started buying our organic groceries as a cooperative, which just strengthened the bond. Maybe you have a big circle of friends already, or just a good friend or two. Maybe you haven’t quite meshed with anyone yet. If you feel like it’s time to date other mothers, maybe Babies at Play is for you? The classes start today, but you can still join (call us for the prorated price!) It’s a great opportunity to get your questions about infant development answered, and you may just expand your mat leave crew.